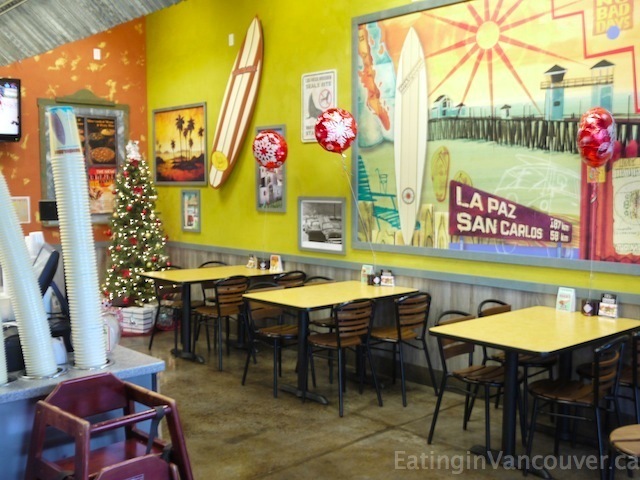 Even though I love Tex-Mex food, I’ve never enjoyed the Taco Del Mar items that I’ve eaten in Vancouver – they just never seemed very fresh or tasty. And when we go to the States, we always eat at Chipotle, so I rarely frequent this particular chain in America. 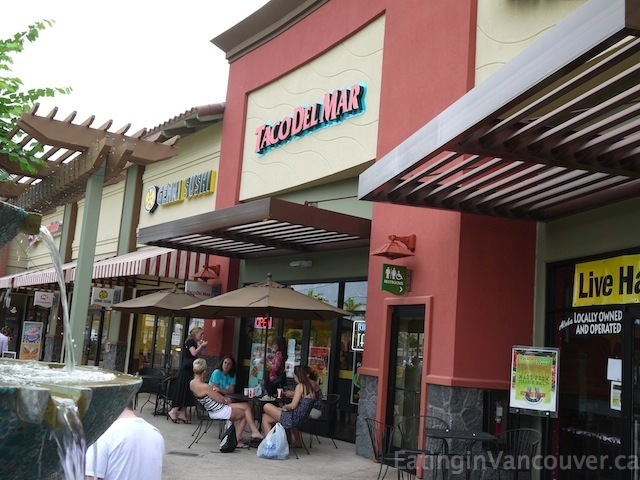 However, I noticed a few Taco Del Mar locations around Kona, so it seemed to be popular on the Big Island of Hawaii – maybe it’s actually good here? We were across the street at Target purchasing an obligatory boogie-board and beach umbrella to use during our ten day trip. We wanted a quick bite to eat, so Gary made a beeline towards Panda Express and I headed nextdoor to Taco Del Mar. I ordered a Taco Salad ($7.99) – Served in a baked tortilla shell with warm beans (black beans or pinto) your choice of meat (shredded beef), cheese, lettuce, and their own pico de gallo. I topped mine with fresh salsa, sour cream, guacamole, jalapenos, chopped onions, and cilantro. Guac and sour cream were included at no extra charge, score! The guy who created my perfect salad made it with such care and precision – I was impressed. This restaurant was super clean and tidy and every item appeared fresh. 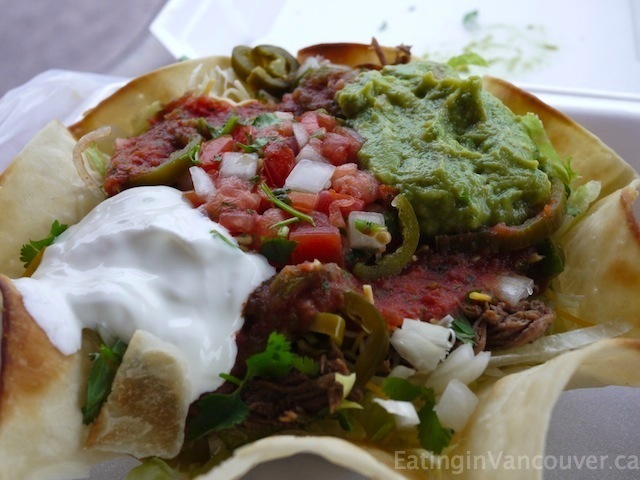 We would definitlely recommend this Taco Del Mar location if you’re in the area and are craving a quick bite to eat.